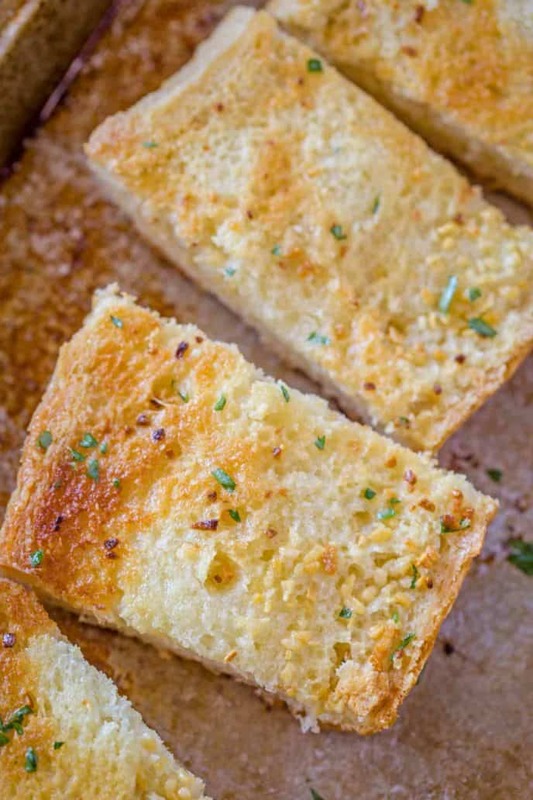 Classic Garlic Bread made with garlic, butter, salt and bread in just 10 minutes. Never buy pre-made or frozen garlic bread again! 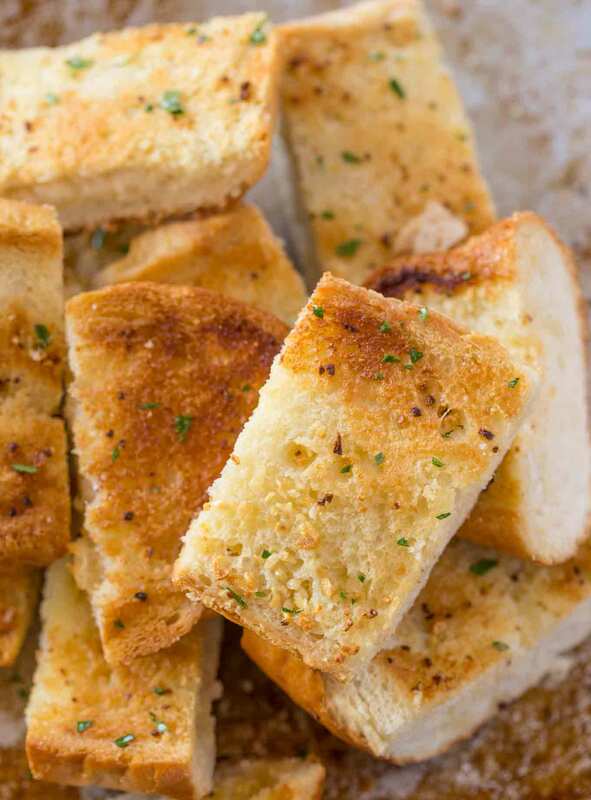 Garlic Bread is the perfect pairing for The Best Chicken Parmesan, Ultimate Meat Lasagna or Beef Stroganoff. Garlic may seem like a no brainer right? Garlic, butter and salt? 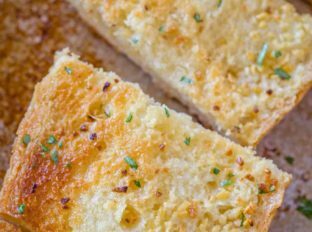 Yes, of course, but getting the right methods down are key to the perfect crispy and chewy garlic bread. French bread is best in Garlic bread recipes because you’ll preserve the chewy texture of the bread. Using older bread will result in overly messy and crunchy garlic bread. Use freshly chopped garlic, never bottled. Use the best butter you’ve got. This isn’t the ingredient to skimp on. If you’ve got average butter pump it up a bit with some olive oil for flavor. If you like a hint of spice use some crushed red pepper. If you want a more frozen garlic bread flavor use Lawry’s Garlic Salt in place of regular salt. If you’d like Cheesy Garlic Bread use mozzarella and Parmesan on the bread just before baking. Brush the mixture onto the french bread and bake for 8-10 minutes or until browned. Garnish with parsely if you'd like and cut into slices to serve. 0 Response to "GARLIC BREAD"